It was so windy in the East Village this past Thursday! Cardboard box in bike lane. As if East Village bicyclists didn't have enough to deal with, getting all blown around themselves! 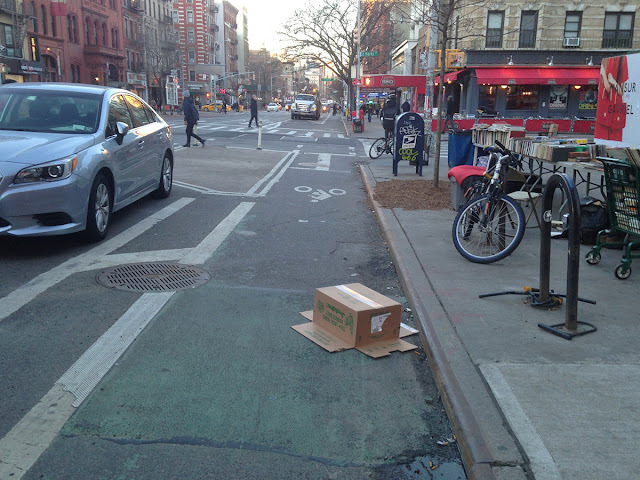 fyi - that cardboard box started out on 14th street! it made it all the way to east 3rd. then there was an ... well, it was messy.